Passed away Thursday, September 18, 2008 at Tendercare of Westwood. He was born February 4, 1936 in Kalamazoo, the son of the late Hendrick and Anna (Robbers) Boltjes. Herman was employed by the City of Kalamazoo as both a 26 year Firefighter and three year Public Safety Officer until his retirement in 1984. He was a member of the Kalamazoo Fire Fighters Association #394 and Fraternal Order of Police #98. On October 5, 1984, he was united in marriage to Nancy J. (Campbell) Edwards, who survives. Also surviving are three children, Charles (Pam) Boltjes of Jackson, Jeffrey (Anita) Boltjes of Indianapolis, IN, and Jane (Mark) Perry of Plainwell; two step-children, Ronald Edwards of Clearwater, FL, and Renonda Elrod of Portage; one son-in-law, Michael Coopwood of Houston, TX; 11 grandchildren; three great-grandchildren; two sisters, Angie Skinner of Three Rivers, and Minnie Paulson of CA; one brother, Henry Boltjes of Kalamazoo; one sister-in-law, Joyce Boltjes of Kalamazoo and several nieces and nephews. Preceding him in death were his parents; one daughter, Karen Coopwood in March 2008; one sister, Henrietta Nuyen; two brothers, Nantko and Harm Boltjes; and one son-in-law, Michael Elrod in August 2008. Funeral services for Herman will be at 2:00 PM on Monday at Langeland Family Funeral Homes, Westside Chapel, 3926 S. 9th Street, with Rev. James Dyke officiating. Friends may visit with the family from 12:00 PM until the time of services on Monday at the funeral home. Interment will follow in Mt. Ever-Rest North Park. As an expression of sympathy, memorial contributions may be directed to The Alzheimer’s Association. Angie M. (Boltjes-Grimm) Skinner, age 92 of Three Rivers died Sunday April 10, 2016 at Three Rivers Health. She was born in Groningen, The Netherlands on Sep. 15, 1923 the daughter of Hendrik and Anna (Robbes) Boltjes. She was a longtime Vicksburg resident and employee of Simpson Lee Paper Company. Survivors include three sons, Richard (Linda) Grimm of Three Rivers, Steven (Kelly Gray) Grimm of Vicksburg, and Louis (Carol Chamberland) Grimm, Jr. of Mendon; daughter Barbara Grimm (Allan) Brown of Three Rivers; 10 grandchildren; several great-grandchildren; and brother, Henry Boltjes of Comstock. She was preceded in death by her parents; son, James Jay Grimm; and two husbands, Louis Grimm Sr. and Harold Skinner; sisters Minnie Paulson and Henrieatta Nuyen; and brothers, Harm, Herman, and Nantko Boltjes. 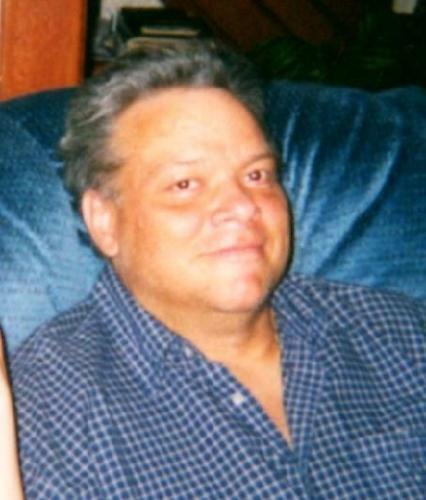 Boltjes, Gordon R. Kalamazoo Age 59, passed away Tuesday, May 12, 2015. Gordon was born in Kalamazoo on October 13, 1955 to Nantko and Lois (Wilkins) Boltjes. He worked for many years at Kalamazoo College as a baker and for the Kalamazoo Gazette. Gordon was preceded in death by his parents and his maternal grandparents, Obie and Adie Wilkins. Gordon is survived by his sister, Krista (Robert) Hoeksema; nieces, Gabby Hoeksema and Brooke and Adalynn Zaworski; nephew, Nathan Zaworski-Tysman; special cousin, Laura Zaworski and best friend, Jeanette Reynolds. A funeral service will be held on Monday, May 18, 2015 at 1:00 PM at Joldersma & Klein Funeral Home. Burial will follow at Maple Grove Cemetery, Comstock. Friends may visit with the family at the funeral on the day of the service beginning at 12:00 PM.